Your heating is one of the biggest energy consumers in your home. Keeping your family warm and comfortable through the colder winter months can be very costly, especially if you do not use your energy wisely. Even if you have the most efficient gas central heating system installed, the amount of energy you use will depend on several factors, many of which you can control. Read on to learn how you can save money and reduce your carbon footprint with these simple tips for economical heating. Every room in your house is unique, just like the members of your family. The living/dining room, kitchen, bathrooms and bedrooms all have very different purposes, and therefore it makes sense to set the temperatures accordingly. Not only will this optimise the efficiency of your heating, it will also enhance the comfort of your family, helping everybody to feel at their best while awake and get quality rest during the night. The optimum temperature for the living room, which is typically where the family spend the most time together, is between 20-22℃. This will allow you to keep your heating costs for the room at a moderate level without compromising on comfort. It is an easy to maintain temperature and will make sure the room doesn’t lose it’s temperature too quickly. The bathroom will also be most comfortable at this temperature, and it is the recommended temperature for bedrooms of babies and smaller children. Kitchens, in comparison, should be seen in a different light. It is important to bear in mind that the kitchen has a variety of heat sources, particularly ovens and hobs. These will give off heat and contribute to the overall temperature, meaning that you can reduce the heating by a few degrees without any noticeable difference. Consequently, a temperature of 18-19℃ should be quite sufficient. Bedrooms are also ideally set to 18-19℃. Not only will the slightly cooler temperature improve the quality of sleep, most upstairs bedrooms generally benefit from insulated ceilings which helps to retain heat. It also pays to bear in mind that you do not need to maintain a constant temperature all the time - especially when a room is not in use. While it is advisable not to turn the heating off during the day while the family is at work and school, setting temperatures much lower can offer significant savings. A reduction of just 1℃ can result in savings of up to 6%. A lot of homeowners lose money on their heating by opening windows and allowing too much heat to escape. Even if you have turned off your radiators, leaving windows open for more than about ten minutes a day can seriously increase your energy consumption. This is because it lowers the inside temperature, meaning that your radiators have to work much harder to restore the temperature when you turn them back on, consuming far more energy than necessary. It is much better to limit the time your windows are open to a maximum ten minutes a day in typical autumn and spring temperatures, and four to six minutes during winter when temperatures are much lower. Getting your ventilation right will improve the air quality in your home and leave you feeling better. It will also help to prevent mould and ensure you don’t get an unwelcome surprise with your next energy bill. Large items of furniture such as sofas and beds are often placed too close to radiators. This may be due to space limitations, or simply because of the desired layout of the room. However, to work effectively, your radiators need free circulation of air. This will ensure that the room temperature is even and that your radiators operate at maximum efficiency. Ideally, you should ensure that there is always a gap of at least 20 cm and preferably more. Take care to ensure your curtains aren’t costing you too. Curtains that hang over radiators, even partially covering them, greatly reduce efficiency and therefore will cause you to spend more than you need to on your heating in the long term. If you are unable to make sure that curtains can be pulled back completely clear of radiators, consider having them shortened. Did you know that a gathering of dust on your radiators may be costing you extra on your fuel bills due to its insulating effect? We typically tend to focus our cleaning efforts on items that catch the attention such as carpets, televisions, cabinets and tables. We are much less likely to clean our radiators - especially when they go unused for several months over summer. By taking the time to give your radiators a good wipe down with a damp cloth on a regular basis, you could see a notable improvement in their efficiency. Depending on the type of radiators you have, you may find a specially designed radiator brush is also helpful to get into harder to reach areas. It is recommended to avoid using a vacuum cleaner as you may inadvertently cause damage to the radiator. As well as making your heating system more economical, clean radiators will also help to maintain a healthier environment, particularly for allergy sufferers. 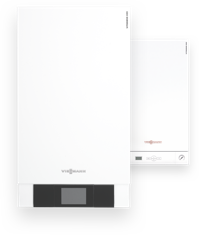 One of the best ways to ensure that your heating system constantly operates at maximum efficiency is to have your boiler serviced by a manufacturer approved professional every year. Although this is usually a requirement to ensure your warranty remains valid and is recommended for your family’s safety, you may not be aware that it can help to ensure your running costs stay as low as possible. During the service, the engineer will be able to clean components, replace parts that are worn and advise you on the optimum operating settings for your home. All of this can help to keep your heating system as efficient and economical as possible, resulting in visible savings on your energy bills. Your engineer can also advise you on new technologies such as smart controls that may be available to help make your home even more energy efficient.